The 13th Malaysian general election is a hot topic today. Personally, I think it’ll not be this few near month. My guest will be most probably after the listing of two giant Initial Public Offering (IPO) of the year 2012-Felda Global Ventures Holdings Sdn Bhd and Gas Malaysia Bhd. Even our influential former prime minister Tun Dr Mahathir Mohamad had also advised for more time to galvanise support for the ruling coalition. No body can guest the correct date except only Dato’ Sri Najib Razak, Prime Minister of Malaysia, will know the exact date and makes the call. 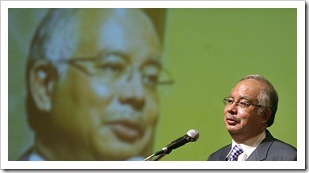 Felda Global Ventures Holdings Sdn Bhd is expected to make its debut on Bursa Malaysia by April 2012. The investment banks that involved in this mega listing are CIMB, Maybank, Morgan Stanley, JP Morgan and Deutsche Bank. The size of this IPO expected to be worth billions of ringgit. As a result, it will make Felda Global one of the country’s 25 most valuable companies. The proposed listing is not lack of many criticism and disputes. Some settlers worried they would risk losing their lands upon listing. The proposed listing of Felda Global Ventures Holding (FGVH) is a “evil scheme” aimed at reducing the settlers’ stake in ‘”cash cow” Felda Holdings, says the PKR. Gas Malaysia Bhd is expected to make its debut on Bursa Malaysia by fourth quarter this year. It sells, markets and distributes natural gas as well as constructs and operates the natural gas distribution system in Peninsular Malaysia. The company has 1,800km of pipelines in operation across the peninsula serving 698 industrial customers, 482 commercial customers and 10,926 residential customers for natural gas. It is the only company licensed by the Energy Commission to supply and sell reticulated natural gas in the peninsula. Will the ruling Barisan Nasional (BN) win in the upcoming general election? There are many big issues yet to be solved. Below is the extract from Malaysia Chronicle. 6. Eurocopter deal RM1bil wasted? 24. Betting in foreign exchange futures cost Bank Negara Malaysia RM30 billion in the 1990s. 25. Perwaja Steel resulted in losses of US$800 million (RM2.56 billion). 28. The sale of M.V. Agusta by Proton for one Euro making a loss of €75.99 million (RM 348 million) Same as No:20? 30. For the past 10 years since Philharmonic Orchestra was established, this orchestra has swallowed a total of RM500 million.Hiring a kwai-lo CEO with salary of more than RM1 M per annum ! 32. The government has spent a total of RM3.2 billion in teaching Maths and Science in English over the past five years. Out of the amount, the government paid a whopping RM2.21 billion for the purchase of information and computer technology (ICT) equipments which it is unable to give a breakdown. Govt paid more than RM6k per notebook vs per market price of less than RM3k through some new consortiums that setup just to transact the notebook deal. There was no math & science content for the teachers and the notebooks are all with the teachers’ children now. 33. The commission paid for purchase of jets and submarines to two private companies Perimeker Sdn Bhd and IMT Defence Sdn Bhd amounted to RM910 million. Expanding on No 2? 44. Samy announced in September 2006 that the government paid compensation amounting to RM 38.5 billion to 20 highway companies. RM380 million windfalls for 9 toll concessionaires earned solely from the toll hike in 2008 alone. 45. RM32 million timber export kickbacks involving companies connected to Sarawak Chief Minister and his family. 47. Putra transport system bailout which cost RM4.486 billion. 48. STAR-LRT bailout costing RM3.256 billion. 49. National Sewerage System bailout costing RM192.54 million. 50. Seremban-Port Dickson Highway bailout costing RM142 million. 51. Kuching Prison bailout costing RM135 million. 52. Kajian Makanan dan Gunaan Orang Islam bailout costing RM8.3 million. 53. Le Tour de Langkawi bailout costing RM 3.5 Million. 54. Wholesale distribution of tens of millions of shares in BursaMalaysia under guise of NEP to cronies, children and relatives of BN leaders and Ministers worth billions of ringgits. 55. Alienation of tens of thousands of hectares of commercial lands and forestry concessions to children and relatives of BN leaders and Ministers worth tens of billions of ringgits. 56. Since 1997, Petronas has handed out a staggering 30 billion ringgit in natural gas subsidies to IPPs who were making huge profits.In addition, there were much wastages and forward trading of Petronas oil in the 1990s based on the low price of oil then. Since the accounts of Petronas are for the eyes of Prime Minister only, we have absolutely no idea of the amount. 63. Expenses for 1 Malaysia campaign paid to APCO? 65. USD24 million diamond ring for Ro$mah — cancellation of order — how much compensation??? After the ‘cows and condos’ fiasco, PKR today dropped another bombshell on the National Feedlot Corporation (NFC), claiming that it had squandered a portion of the RM250 million government loan on land, luxury cars and overseas trips. Businessman Shamsubahrin Ismail, who has been charged with cheating National Feedlot Corporation (NFC) executive chairperson Mohamed Salleh Ismail, has claimed that the latter pressured him to bribe the police to cover up the company’s scandal. He made this claim in a police report lodged at the Klang General Hospital last Friday, which was revealed by PKR at its headquarters in Petaling Jaya today. Bila kerajaan korup dan tak pentingkan rakyat, ubahlah kepada kerajaan yang prihatin dan telus! This entry was posted on Sunday, February 5th, 2012 at 11:45 pm	and is filed under stock market. You can follow any responses to this entry through the RSS 2.0 feed. Both comments and pings are currently closed. KUALA LUMPUR, Feb 13 — Plantation firm Felda Global Venture Holdings Bhd will launch its initial public offering on Bursa Malaysia on May 10, Bernama cited a senior government official as saying today. A deputy minister in the prime minister’s department, Datuk Ahmad Maslan, was reported by Bernama as specifying the date for the IPO, which is expected to be the largest stock debut this year in Malaysia. A source with direct knowledge of the deal told Reuters the IPO would raise as much as US$2 billion (RM6.05 billion) and would take place in early May. Felda Global, the business arm of the nation’s federal land authority (FELDA), is an agri-business company focused on palm oil, rubber and sugar cane processing and cultivation. KUALA LUMPUR, Feb 18 — The proposed listing of Gas Malaysia Bhd in Malaysia has been delayed to the second quarter of 2012, its major shareholder MMC Corp Bhd said in a stock exchange filing yesterday. The planned listing of Gas Malaysia, the country’s sole supplier of natural gas to the non-power sector, was originally scheduled to list by fourth quarter of 2011, but has been delayed to the first quarter of this year due to non-compliance with Malaysia’s Securities Commission (SC)’s rules. “Gas Malaysia is still in the midst of complying with the conditions imposed by the SC for the proposed listing as stated in their approval letter dated Oct 7, 2011 which was announced by MMC Corp on October 10, 2011,” Malaysian Builder MMC Corp, which owns some 41.8 per cent of GasMalaysia, said in the filing. “Barring any unforeseen circumstances, the proposed listing which was earlier expected to be completed by the first quarter of 2012, is now envisaged to be completed by the second quarter of 2012,” it added. One of the SC’s conditions was for Gas Malaysia to ensure that its petrol stations were not built on land that was not designated for that purpose, according to a previous announcement by MMC Corp in October last year. Putrajaya will move ahead with the proposed listing of FELDA Global Ventures Holdings Berhad (FGVH), with or without the 51 per cent stake in commercial arm FELDA Holdings held by settlers of the federal land development scheme. A group of eight settlers had last month won a temporary court order blocking the transfer of shares from their FELDA Investment Co-operative (KPF) to FGVH, a crucial step in the plan to list the plantation firm. But Deputy Minister in the Prime Minister’s Department Datuk Ahmad Maslan told a press conference today the government will not delay the listing beyond June as it wanted to capitalise on high crude palm oil (CPO) prices. He said that the listing will go ahead whether or not the settlers are successful in winning an injunction against the share transfer when the matter is heard in court on March 22. “If we cannot set the injunction aside or if they appeal, we still have to go ahead. We have to capitalise while CPO prices are high. “That is the main factor for why we want to list in May, but now it will probably be in June. But we will go ahead without KPF,” the Pontian MP said. The government previously insisted it has the backing of “the majority of settlers”, despite reports of widespread opposition. FELDA chairman Tan Sri Isa Samad had announced a special purpose vehicle (SPV), after the court blocked the share transfer, to cater for the welfare of some 112,000 settlers. Isa said that as any potential proceeds from the proposed listing would not be channelled through KPF, the SPV would assume this role and ensure that settlers would benefit directly from the listing and participate fully in any potential growth. But PKR charged that the SPV would only lower FGVH’s listing value, adding that this decision was a direct snub of the co-operative. KPF has approximately 220,000 members, of which 112,635 are FELDA settlers. The rest are FELDA employees and children of settlers. Reuters reported last month that Putrajaya could delay FGVH’s listing due to settlers’ opposition, saying the deal risks undermining Barisan Nasional’s (BN) support from voters long considered the ruling pact’s vote bank. Prime Minister Datuk Seri Najib Razak had recently said the listing of FGVH, announced in Budget 2012, is expected to take place in April instead of the middle of the year as was earlier planned. But critics contend that the proposed listing, which will see loss-making FGVH assume control of KPF, will short-change smallholders and saddle FELDA with up to RM1.5 billion in yearly deficits. FGVH subsidiaries such as FELDA Iffco Sdn Bhd, FELDA Global Technologies, FELDA Global Ventures Middle East and FELDA Global Ventures Arabia are reported to have chalked up accumulated losses of around RM500 million up to last year. However, Ahmad told Parliament today FGVH recorded pre-tax profits of RM203 million and RM366 million in 2009 and 2010 respectively. The profitable FELDA Holdings has a workforce of some 19,000 employees, with a labour force of 46,795 workers at 300 estates, 70 palm oil mills, seven refineries, four kernel-crushing plants, 13 rubber factories, manufacturing plants and several logistic and bulking installations spread throughout Malaysia and several locations overseas. The government has said the move will result in a RM5.9 billion lump-sum payment to settlers but the National FELDA Settlers’ Children’s Association (ANAK) has insisted it will not be in cash but shares in FGVH. Former finance minister Tengku Razaleigh Hamzah has also criticised the move, saying it would expose land belonging to 200,000 smallholders to the open market. PETALING JAYA: The highly anticipated listing of Felda Global Ventures Holdings Bhd (FGVH) will see up to 2.19 billion shares being offered under its initial public offering (IPO) scheduled for end-May or early June. According to FGVH’s draft prospectus exposure to the Securities Commission, the total IPO shares comprise an offer for sale by the Federal Land Development Authority (Felda) of up to 1.21 billion shares to local and foreign institutional and selected investors, and a public issue of up to 980 million shares. Of the public issue shares, 286.8 million will be offered to local and foreign institutional and selected investors; 419.5 million to bumiputra institutional and selected investors approved by the International Trade and Industry Ministry; 200.6 million to eligible employees, Felda settlers and individuals who have contributed to the success of the group; and 72.9 million to the Malaysian public. The prices for the FGVH IPO shares, however, have yet to be determined. FGVH is the commercial arm of Felda for overseas investments in the upstream and downstream palm oil business and other agribusinesses encompassing oil palm and rubber plantation products, soybean and canola products, oleochemical and sugar products. Its agricultural and agri-commodities operations now span across 10 markets, including Indonesia, China, India, North America, South Africa and Turkey. According to Frost & Sullivan, FGVH is the third largest oil palm plantation operator in the world based on planted hectarage (other than planting of immature oil palms) last year. In Malaysia, the group currently operates 343,521ha of oil palm plantation estates that managed to produce 5.2 million tonnes of fresh fruit bunches last year. FGVH’s 49%-owned associate, Felda Holdings Bhd (FHB), is the largest crude palm oil (CPO) in the world based on production volume. FHB’s CPO production last year stood at 3.3 million tonnes. FGVH also boasts having MSM Holdings Bhd, the leading refined sugar producer in Malaysia, as its subsidiary. MSM has a production capacity of 1.1 million tonnes of sugar products. Last year, its production volume stood at 958,377 tonnes. FGVH has seven individuals listed as its directors. Besides chairman Tan Sri Isa Samad, they are Datuk Sabri Ahmad, Dr Mohd Emir Mavani Abdullah, Datuk Dr Omar Salim, Datuk Yahaya Abdul Jabar, Datuk Shahril Ridza Ridzuan and Datuk Abdul Rahman Ahmad. FGVH said the gross proceeds from the offer for sale would accrue entirely to Felda, while those arising from the public issue were expected to be fully utilised for its core business purposes. These include selective acquisitions of oil and fats, manufacturing and logistics businesses; acquisition of plantation assets; construction or acquisitions of mills and refineries; loan repayment for its overseas operations; capital expenditures for efficiency and capabilities improvements; as well as working capital requirements and listing expenses. For its financial year ended Dec 31, 2011, (FY11) FGVH’s net profit stood at RM1.01bil on revenue of RM7.47bil. This compared with its net profit of RM844.43mil on revenue of RM5.8bil for FY10, and a net profit of RM313.4mil on revenue of RM2.88bil.